Waste Paper, Paper Pulp, Pulp Board Ect. 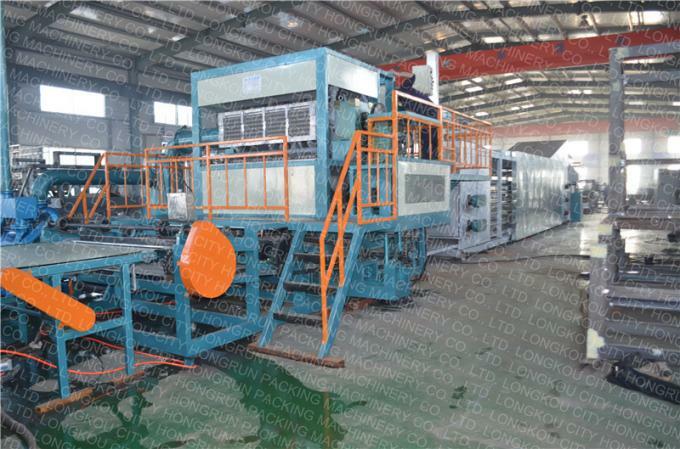 Egg tray molding production line is process waste paper into various paper tray, like egg tray, beer tray, shoes tray, rice-seedling tray, fruit tray etc. The mould can be customized with pattern or word according to customer's requirements. Finished product: All kinds of egg tray , egg box ,fruit tray, wine tray, cup tray ,shoe tray ect. 1. Paper Pulp Making System: It is mainly comprised of hydrapulper, pulp pump, multi-function refiner machine, blender, control cabinet, etc. 2. 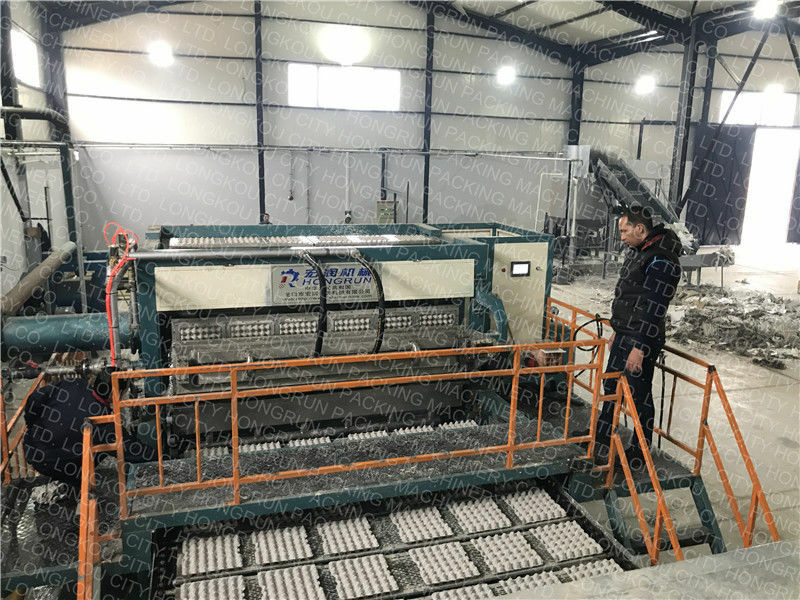 Egg tray making machine : This part mainly is the egg tray forming machine.We could produce the forming mould and transfer mould based on our customers request. 3. 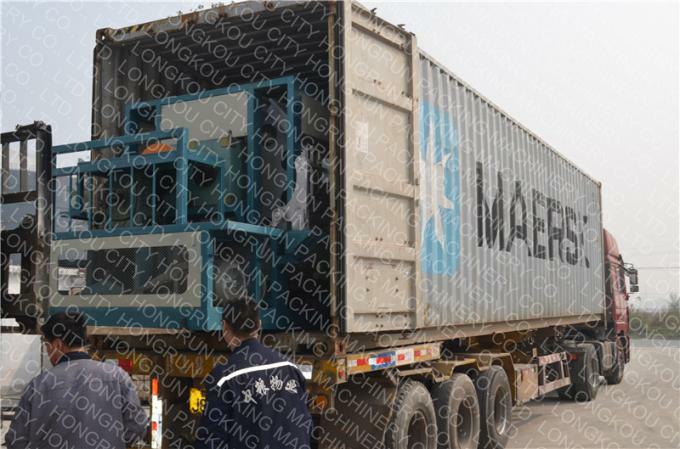 Drying machine : When the egg tray be made over by the forming machine, the egg tray will be put on the drying line by transfer mould,they will across the drying channel, then you can get the dry tray! there are Multi - metal dryer, civil dryer .and drying fuels: coal, wood, diesel, natural gas, liquefied petroleum gas and so on. Latest date of shipment rime:15-20 working days after reciept prepayment. Longkou City Hongrun Packing Machinery Co., Ltd. (hereafter referred to as "HONGRUN") is a joint-stock machinery manufacturing enterprise, integrating industrial scientific research, production and marketing. 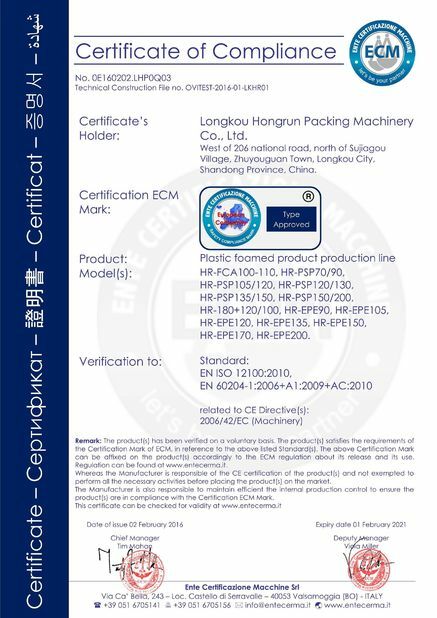 The company is located in the Industry Area Zone of Shandong, China. 1. 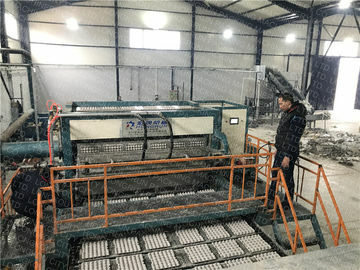 What's the raw materials for the egg tray processing machine? One is Paper egg tray: The material is waste paper, because of its simple production process, low cost and no environmental pollution, it is known as the "green" packaging, is our daily most common kind of egg tray. The other is Plastic egg tray: The material is plastic, because of its high cost and colorful, mostly used in supermarket. 2. What's the use of this egg tray machine? Widely used in the egg tray ,fruit tray, sho support, glass ware, electronic products, mechanical products, furniture,home shop liner packging and so on. 3. What kind of drying do you usually do?Do you have technicians?